An independent inquiry into NHS Tayside's mental health services has been launched with an appeal for personal testimonies. Anyone who has engaged with mental health services in the region has been urged to share their experiences. It has asked for individuals, families, carers, NHS staff and community groups to come forward. The call for evidence follows three months of preparation including the appointment of chairman David Strang. 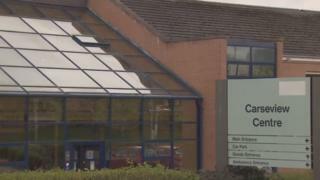 An investigation was initially ordered into Dundee's Carseview Centre but was expanded following a campaign by families of people who took their own lives. The inquiry is expected to review safety, care standards and access to mental health services. Mr Strang said: "I am keen to hear from a wide range of people with experience of mental health services in Tayside and will welcome all contributions to the inquiry." The inquiry said that all evidence, including both bad and good experiences, would be used to "guide the focus of the inquiry team in their work in the coming months".